Home › Join/Renew › Support the work that supports your values — donate to the GWS! Support the work that supports your values — donate to the GWS! To make a direct donation to GWS, please visit our GWS donation platform to get an instant acknowledgment of your generosity through our partnership with Network for Good. 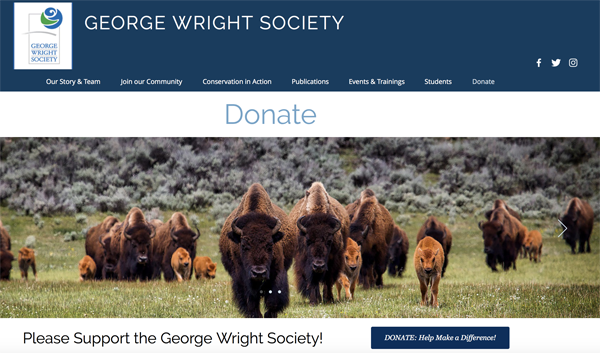 Your donation to the George Wright Society helps us build the knowledge needed to keep parks, protected areas, and cultural sites safe and secure in the 21st century. Your donation of any amount is welcome, and is tax-deductible in the USA.